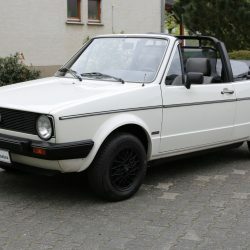 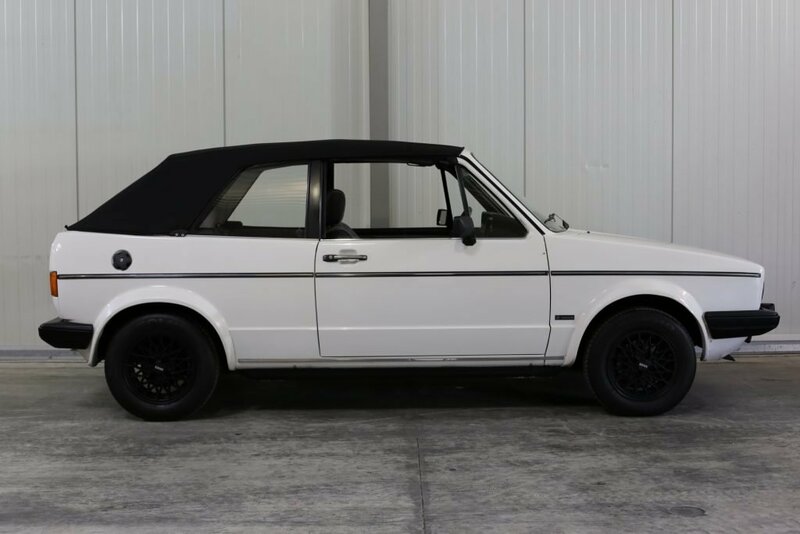 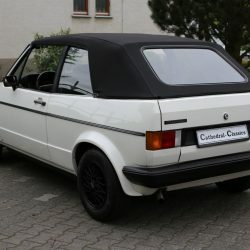 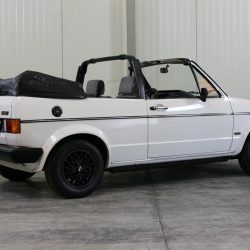 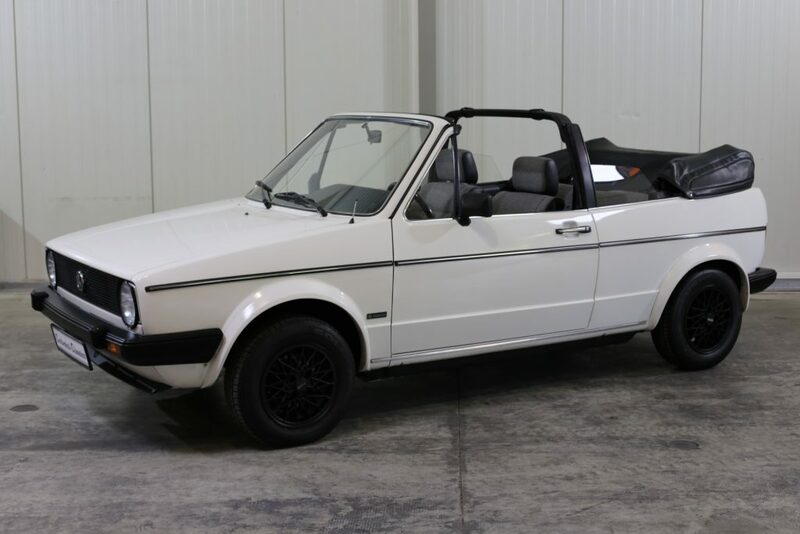 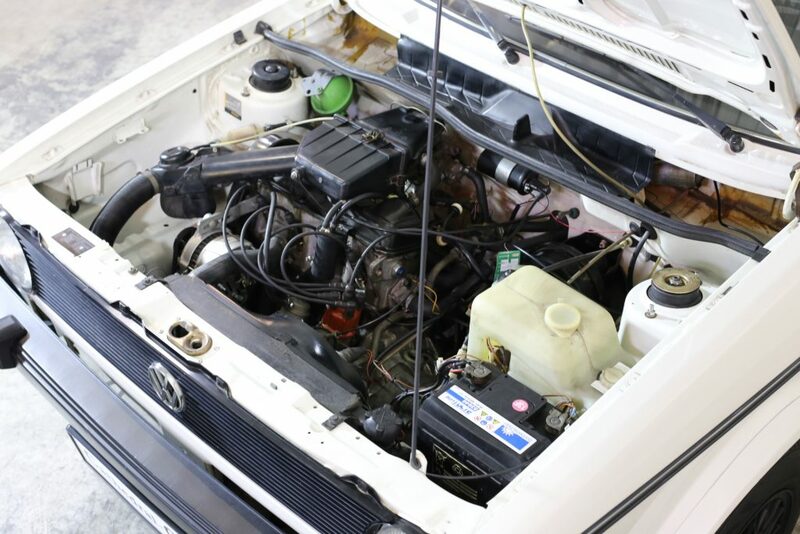 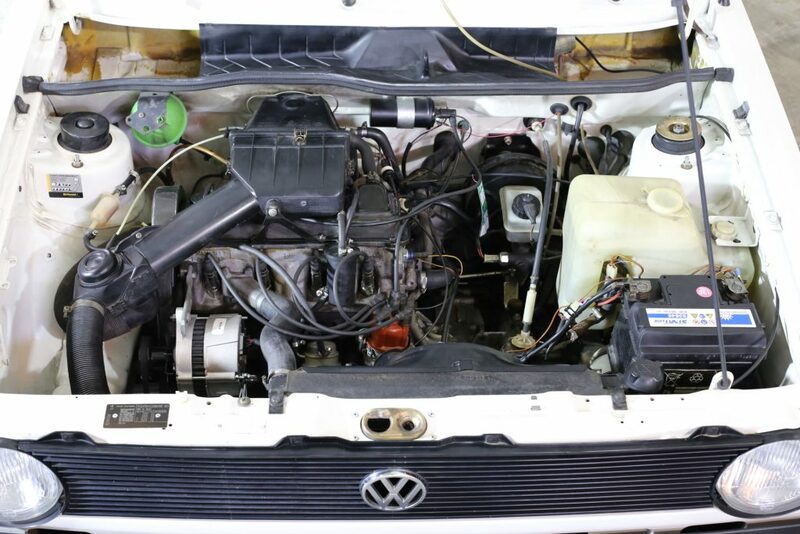 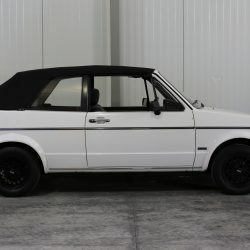 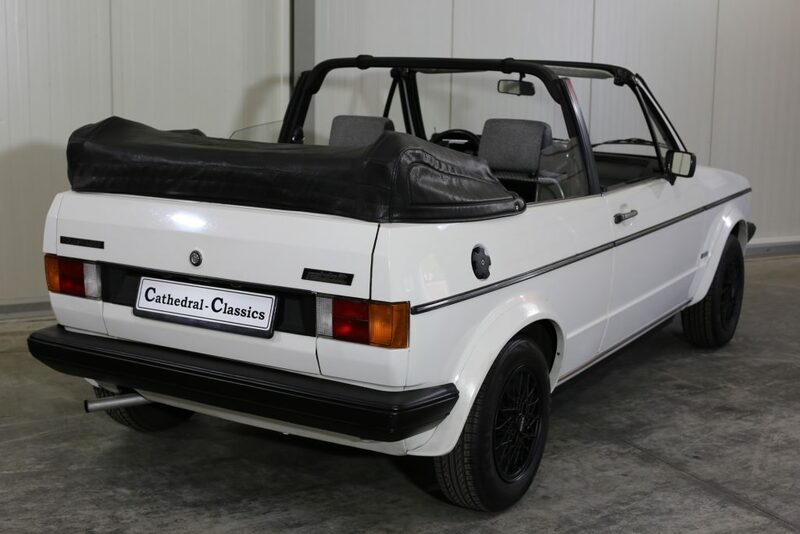 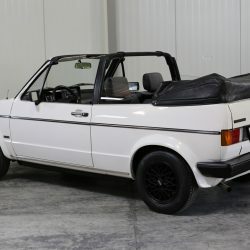 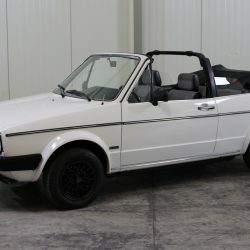 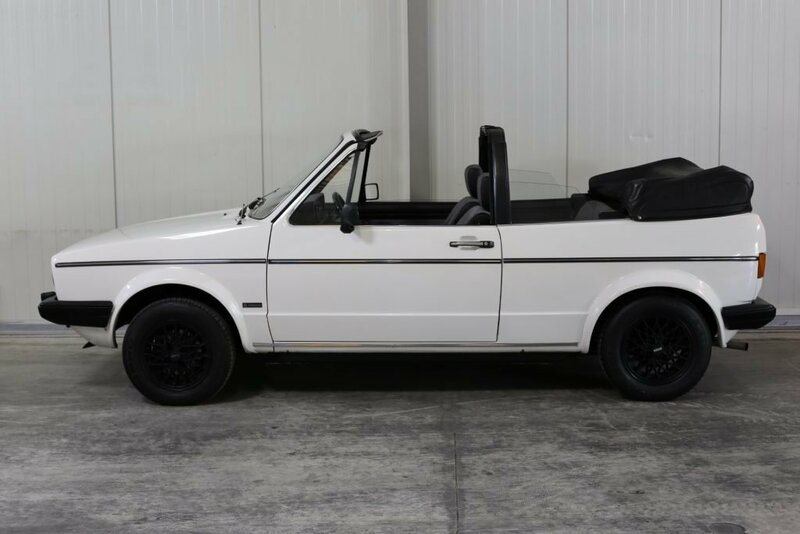 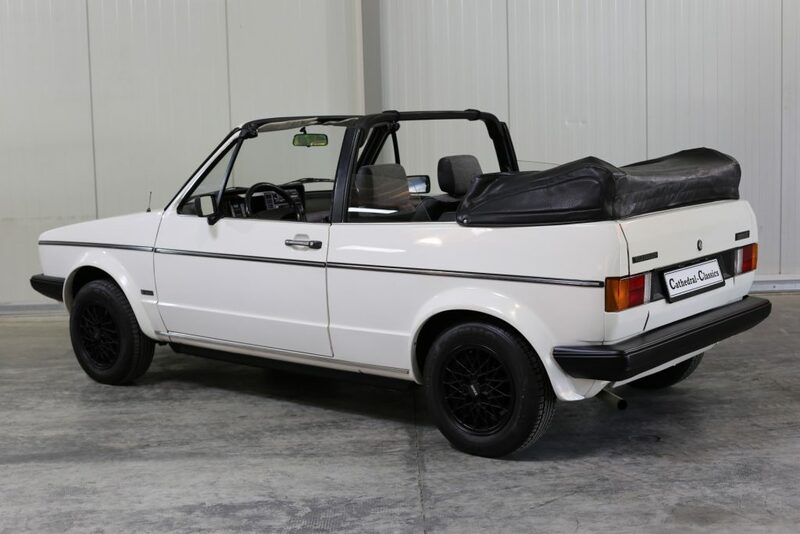 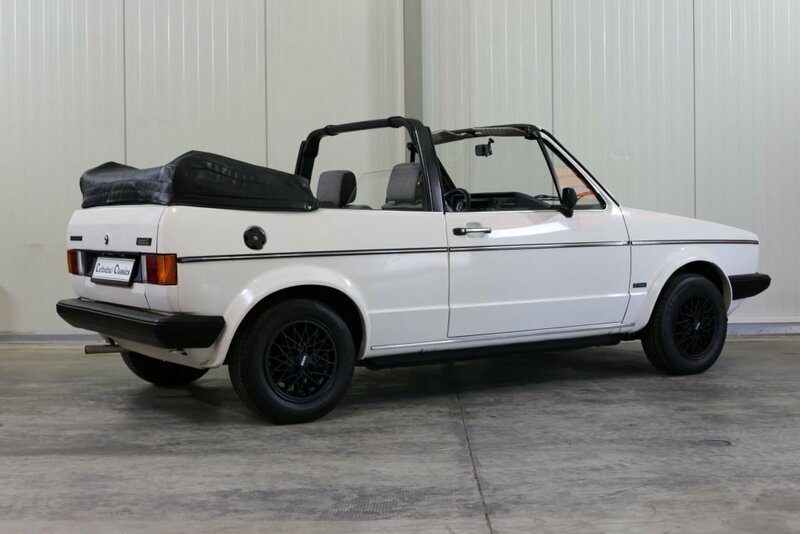 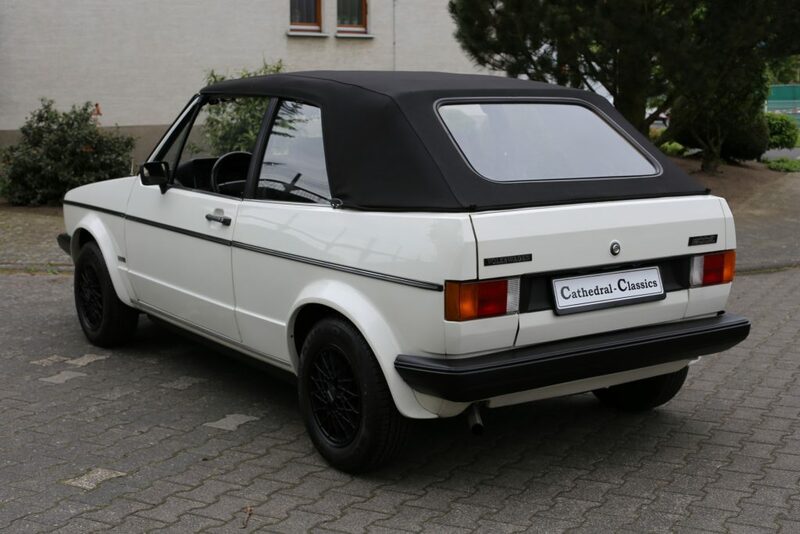 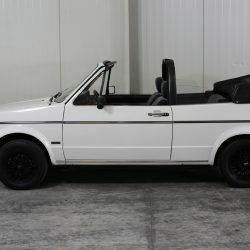 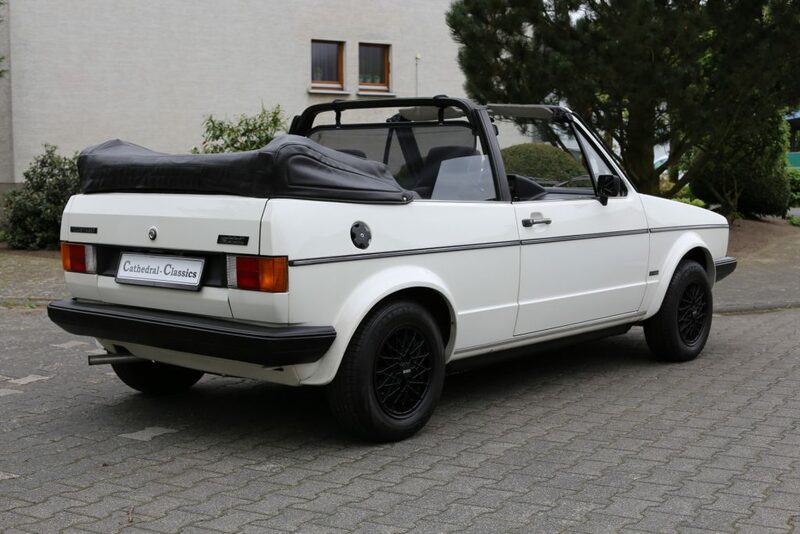 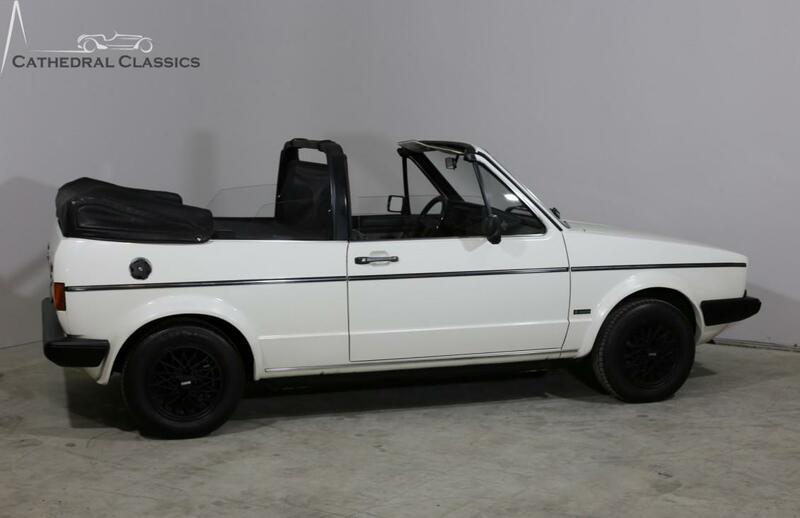 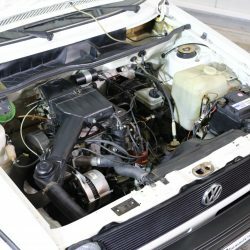 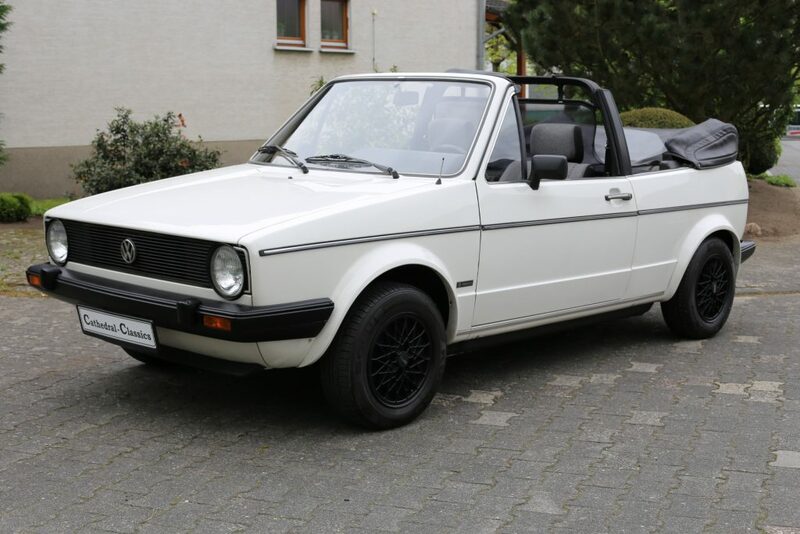 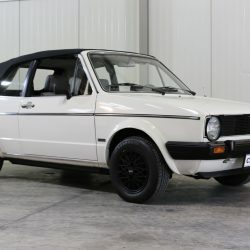 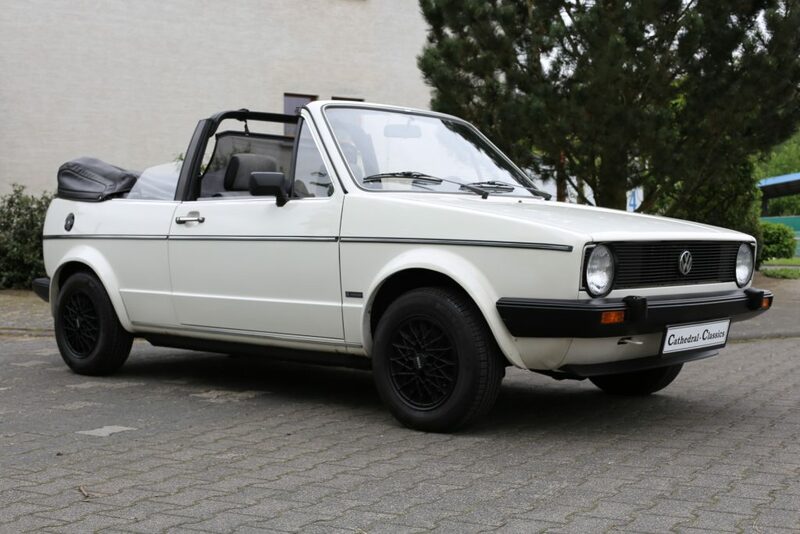 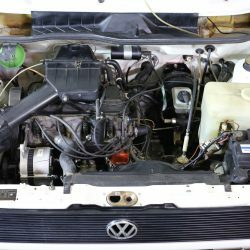 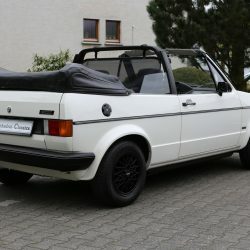 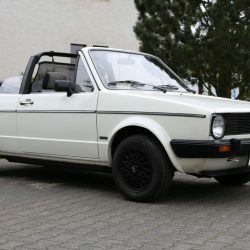 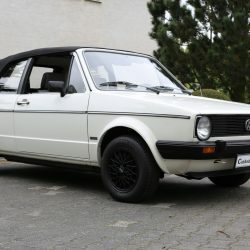 VW Golf MK1 Cabriolet 1.5L – 70ps in wonderful original condition. 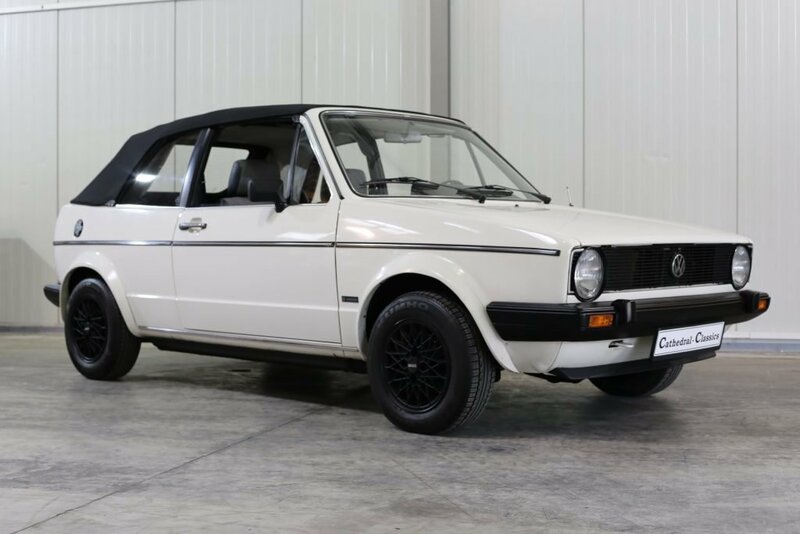 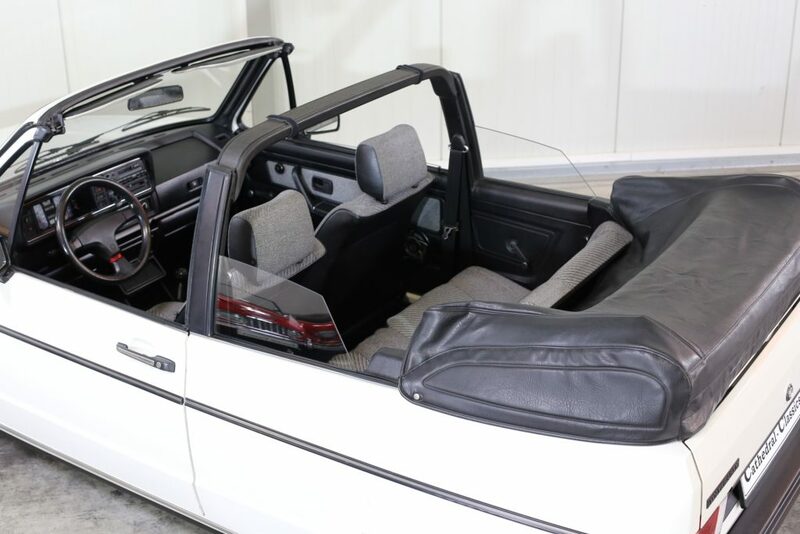 HISTORY FILE - This beautiful MK1 Golf Cabriolet was first registered on 19th August 1982 and remains in stunning original condition. 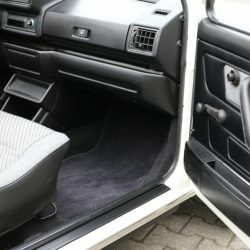 The original blue VAG dealer handbook and guides remain in the standard VW wallet but, sadly, without the service history book. 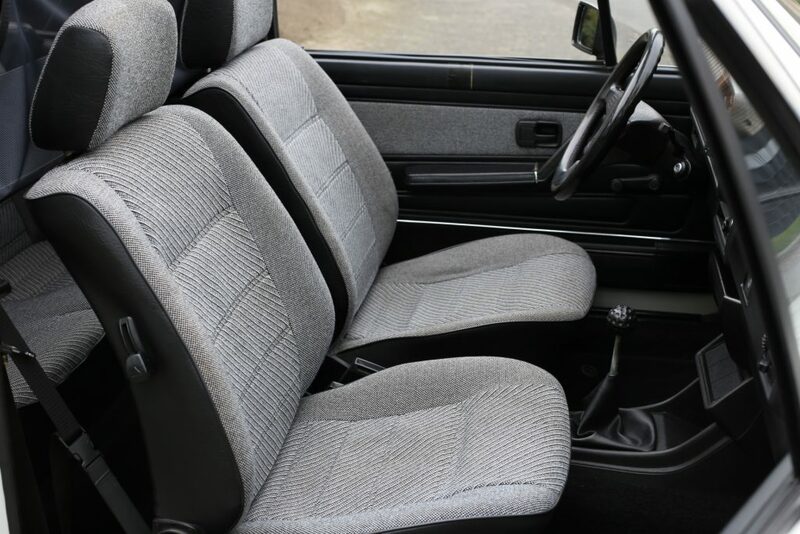 However, on speaking with the two previous owners, we have no cause to doubt the authenticity of this outstanding low mileage 82,553 km’s example which still wears its original paint. 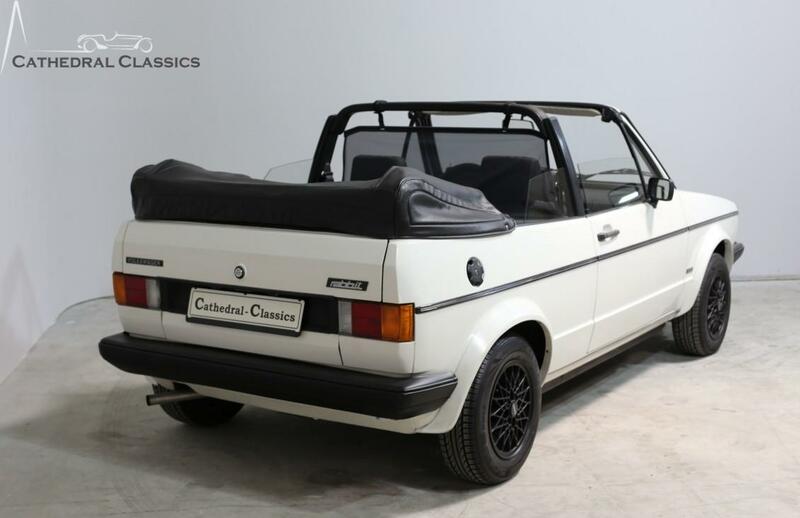 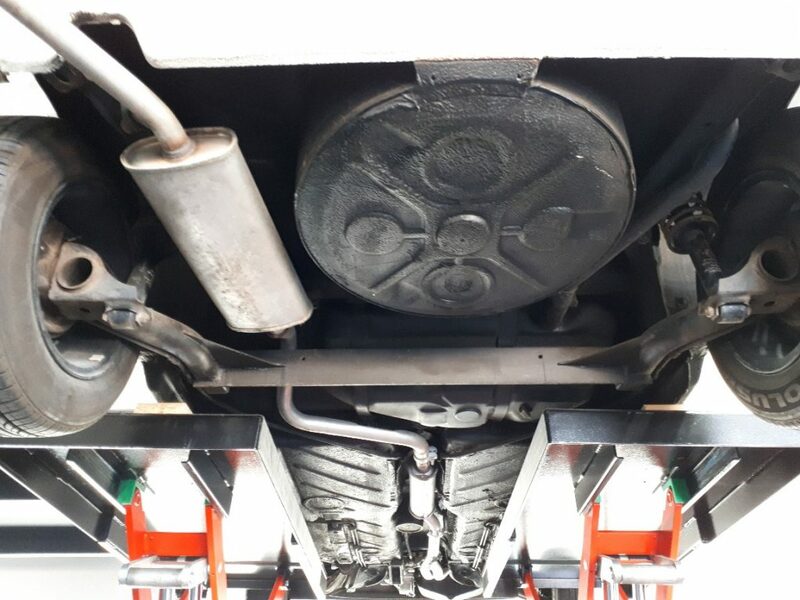 Brilliant parts availability, owners club support and mechanical simplicity offer worry free classic car motoring allowing the next owner to concentrate solely on enjoyment. 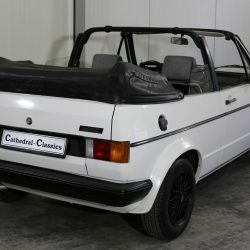 EXTERIOR – We understand that this cute Typ 155 – Karmann VW Convertible had been stored for many years in Wiesbaden Germany before re-surfacing again in 2012. 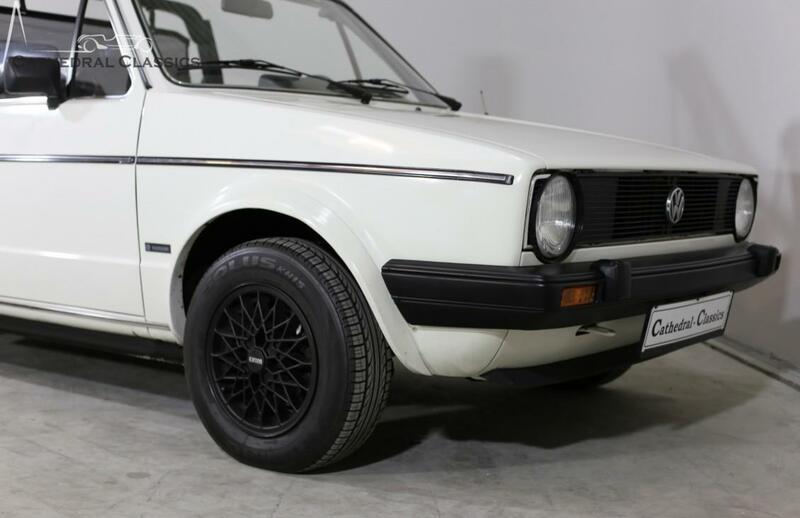 Finished in its original factory White, the paintwork maintains a bright uniform shine. 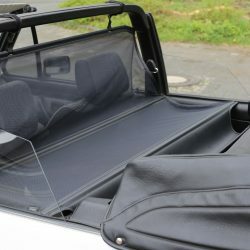 The brand new mohair convertible hood is finished in contrasting black and is effortless to manually operate. 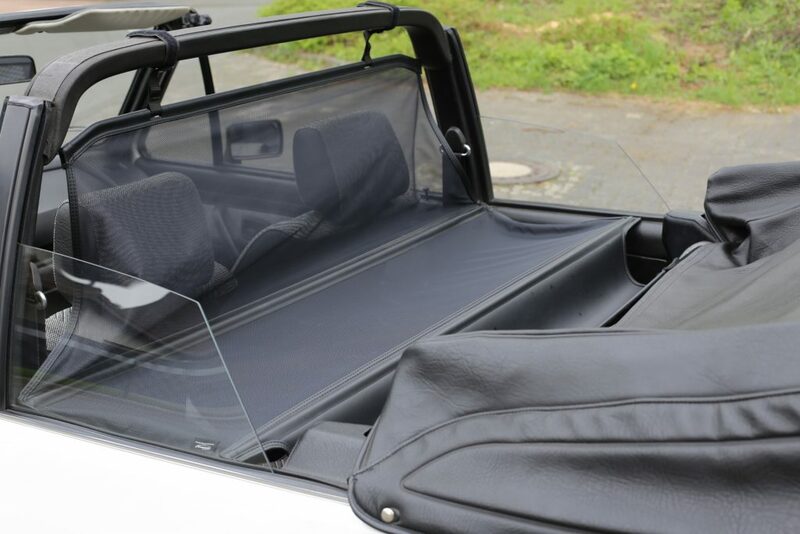 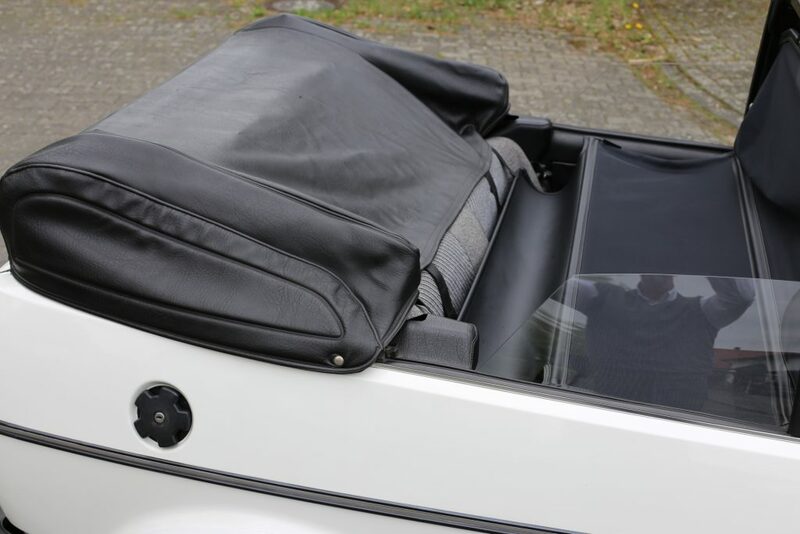 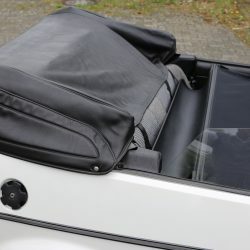 An added bonus is the leather rear tonneau and the well-fitting windbreak. 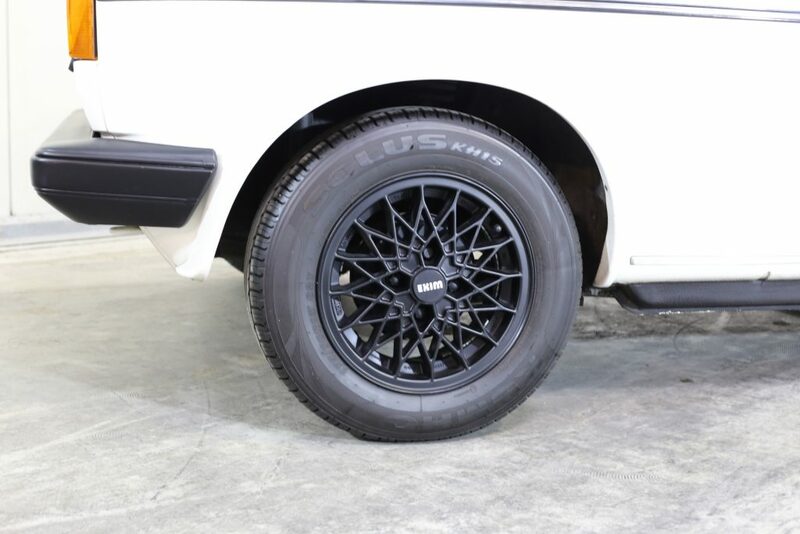 Non-standard black painted alloys may not be to everyone’s taste but, they have been recently restored. 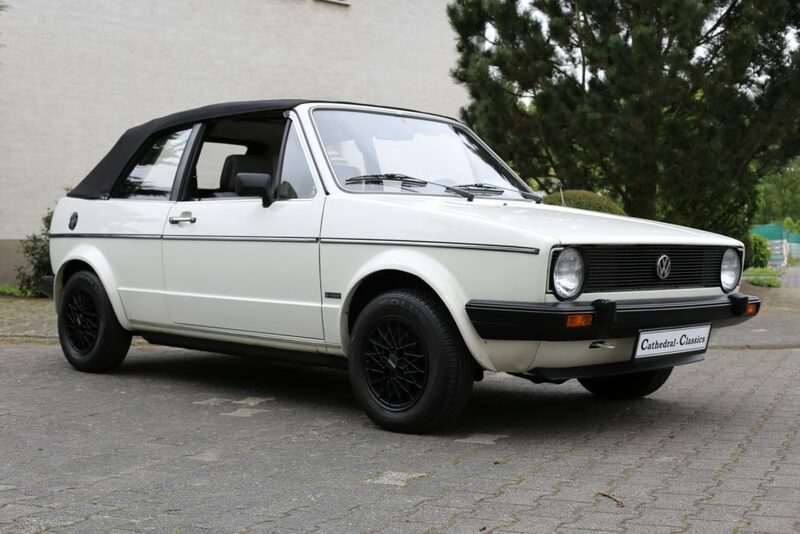 An unmolested, beautifully preserved example just bursting to be used this coming summer. 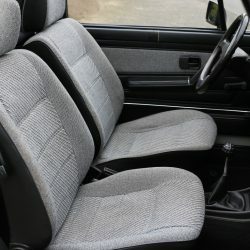 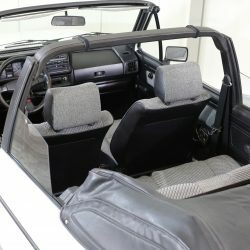 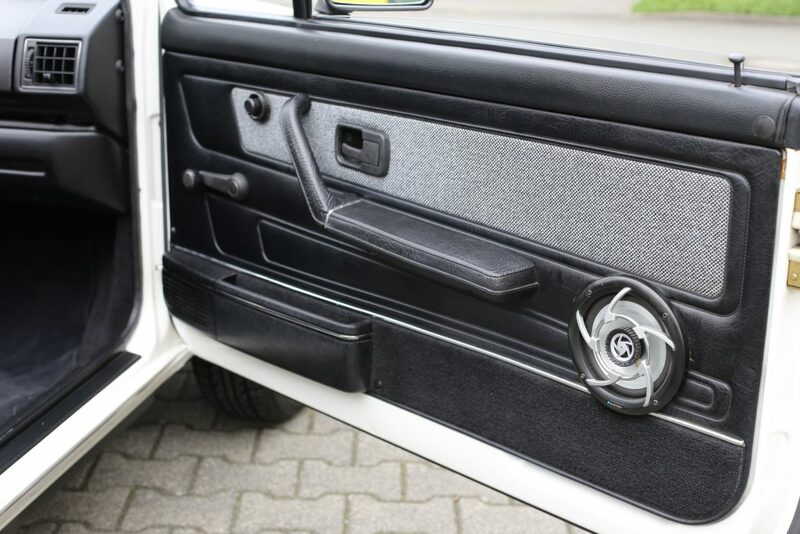 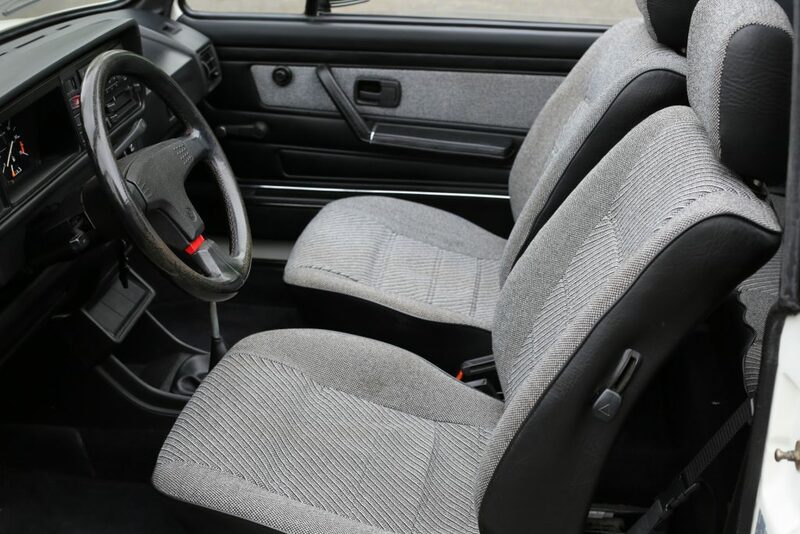 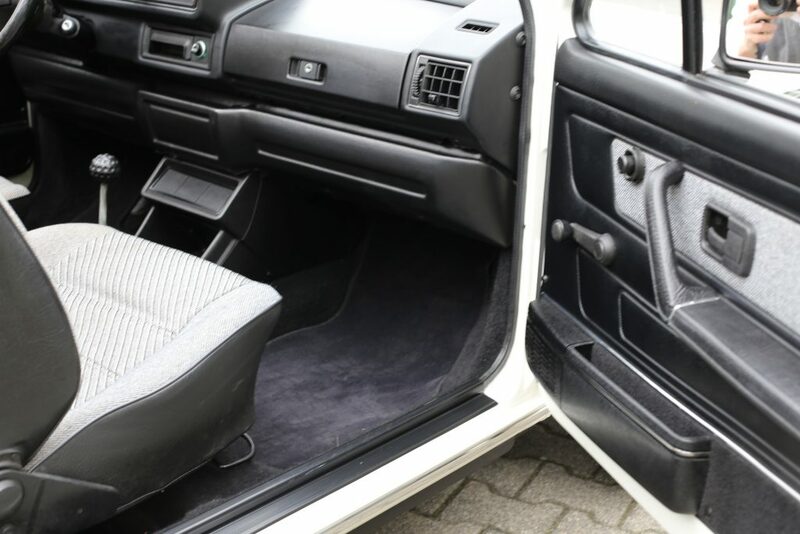 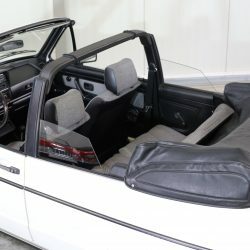 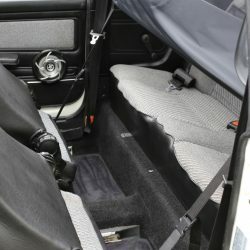 INTERIOR – The quality of interior produced by VW in the eighties was remarkable and can easily match anything produced today. 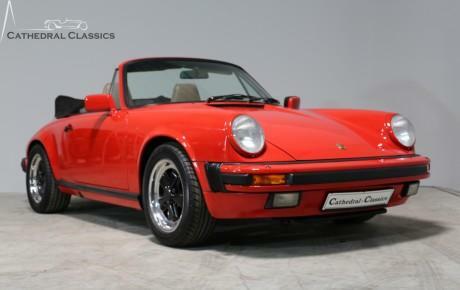 This example is no exception and is in fantastic order. 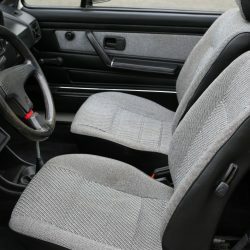 The seats are in beautiful wear free condition with the carpets still protected by quality VW fitted over-mats. 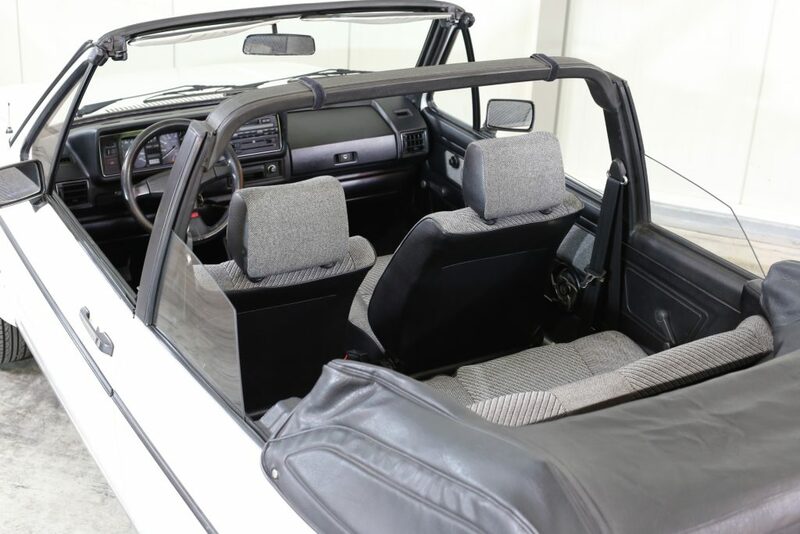 The original fascia and trim sections are perfect and all the controls work as they should. 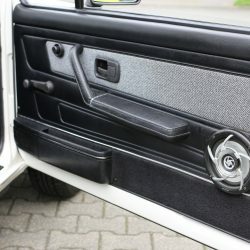 Sadly, the driver’s door trim does show a repaired section. 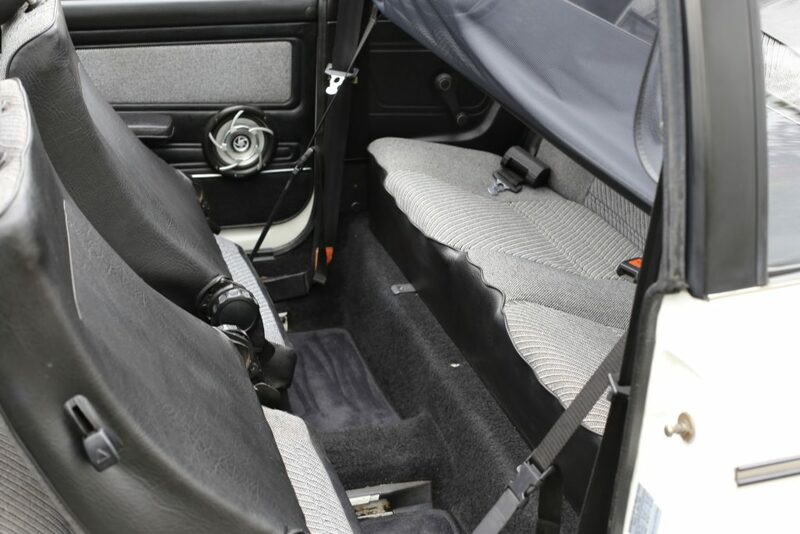 Incredibly, the fully functional original factory Beta radio/cassette stereo remains fitted and still rrtains its radio code instruction book. 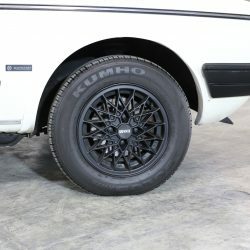 Representing everything that a low owner and low mileage pride and joy should. 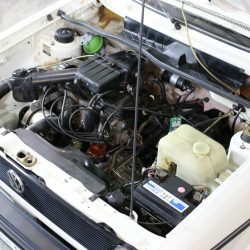 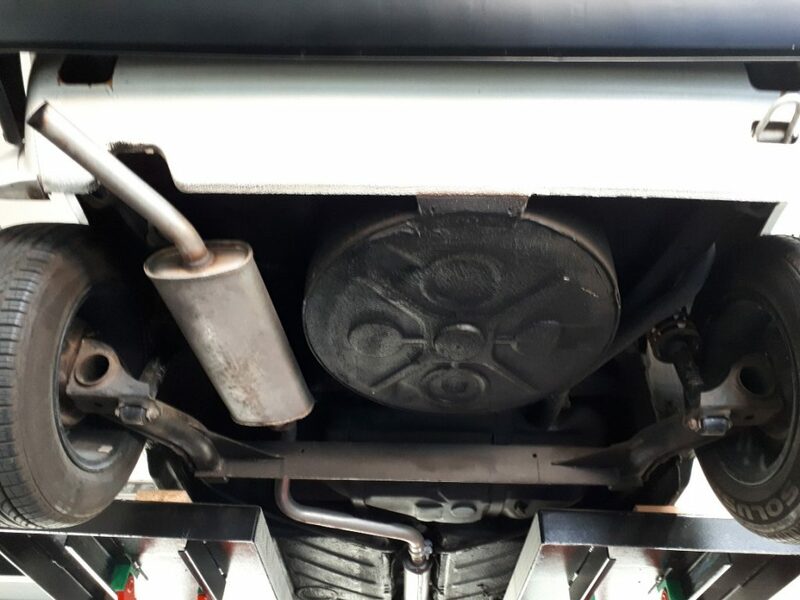 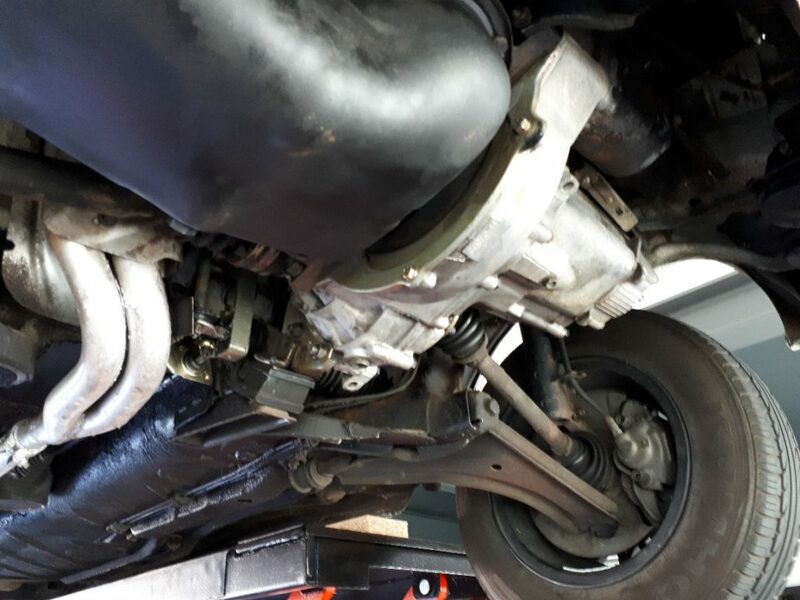 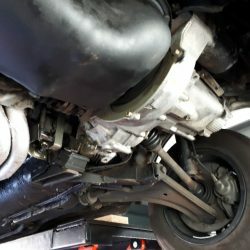 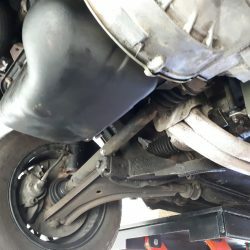 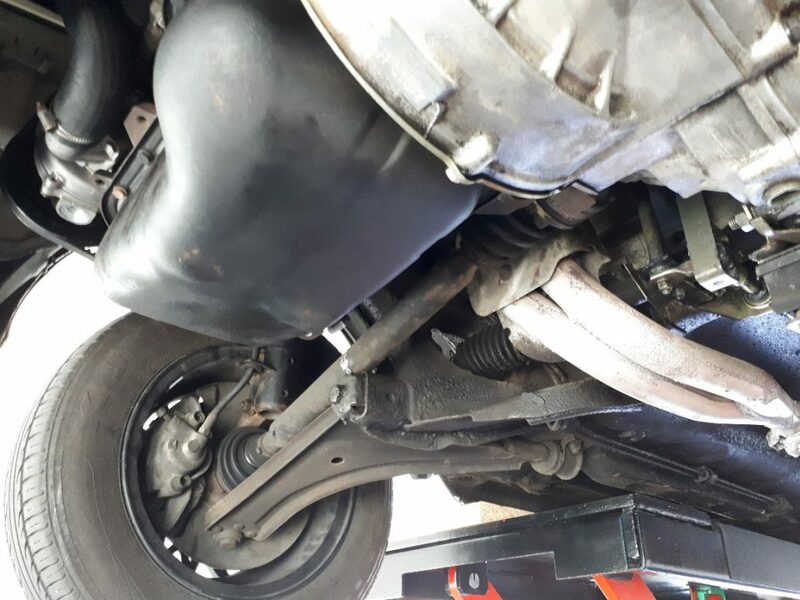 ENGINE & TRANSMISSION - The time proven and uncomplicated four cylinder 1.5L 70ps / 51 kW engine is smooth and performs strongly giving excellent and responsive performance. 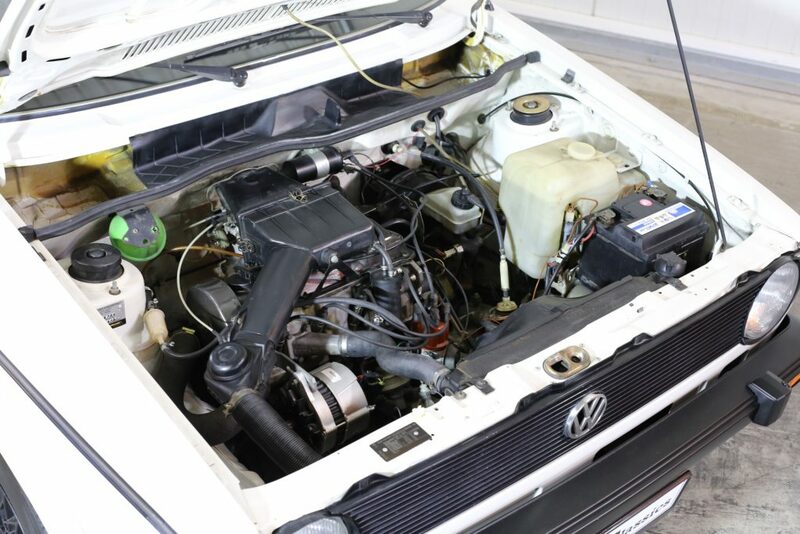 A recent service and new alternator by Classicarchiv have made the car ready to be driven this summer. 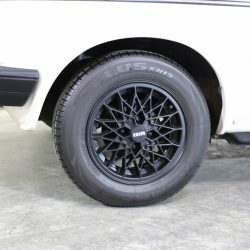 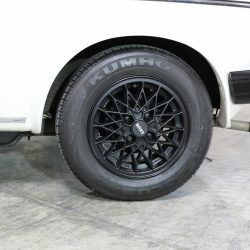 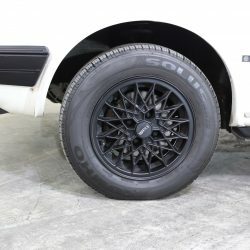 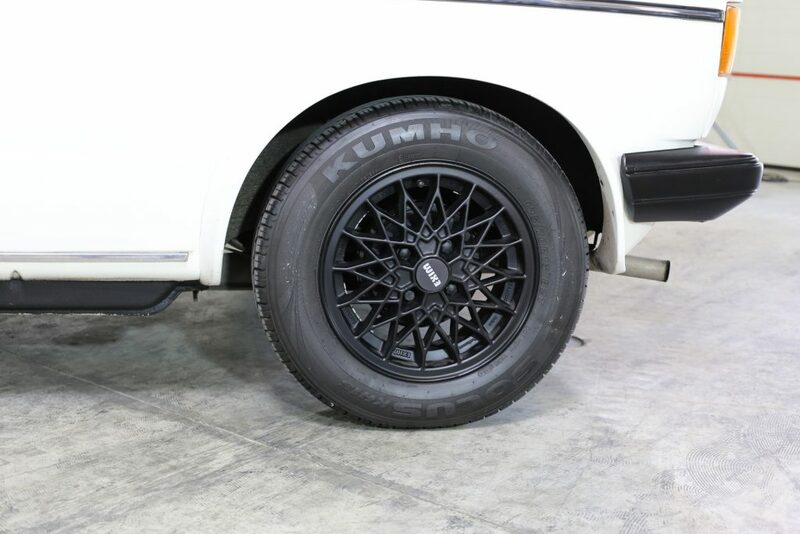 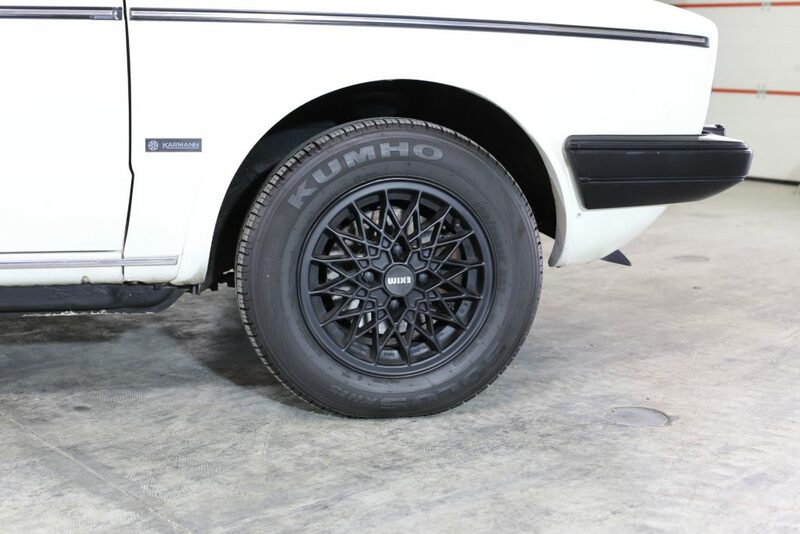 WHEELS, TYRES & BRAKES – Now fitted with the non-standard black painted alloy wheels, they are all shod with new Kumho Solus 175/70 R13 tyres. 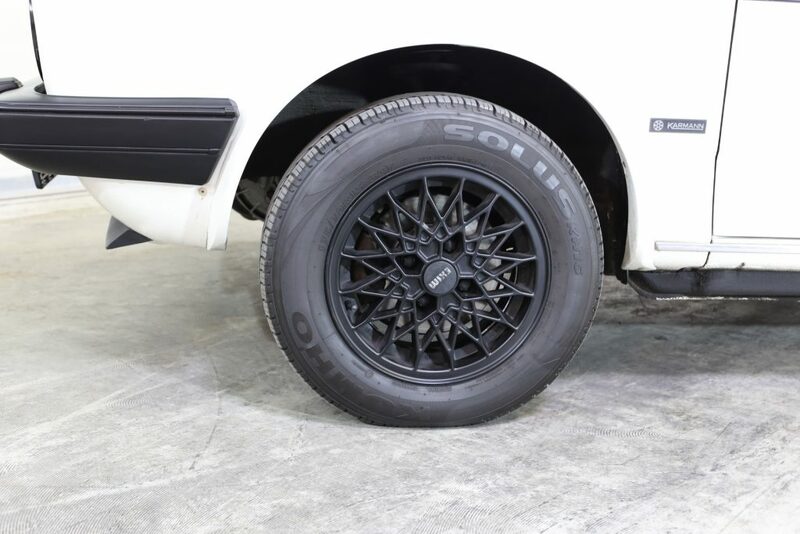 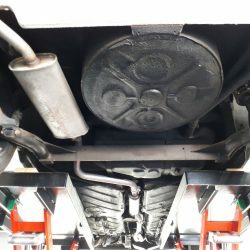 The spare tyre is also new. 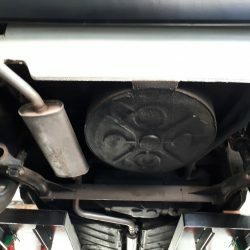 The car stops exactly as it should. 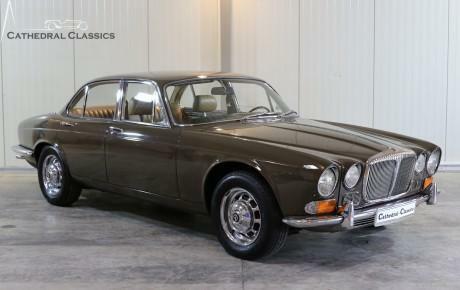 An extremely rare Series 1 Daimler Sovereign 4.2 in superb original condition. 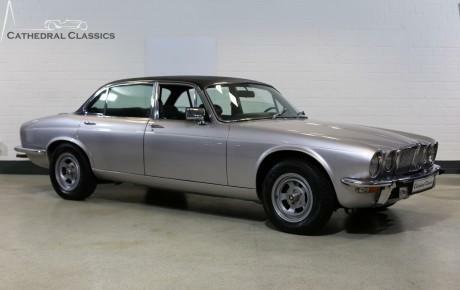 A resplendent Jaguar XJ6 (L) Series 2 4.2 Litre - older comprehensive restoration.